Whether you’re five or fifty, that view from the top of Nandi Hills is always mesmerising. Located about 65 kilometers from Bangalore, the hills have become a getaway spot for the masses. It has something for everyone. Whether you’re a photographer that loves to capture the rare beauties of nature or an avid traveler that loves the adventure, you are guaranteed to have a memorable experience. There are many sightseeing options at Nandi Hills. Although the occasional Monkey could be a problem, Nandi Hills is definitely the ideal tourist location. The breath of fresh air, the scenic beauty, and the excellent climate are all Nandi’s ways of calling out to you. This heritage site was home to the famous ruler Tipu Sultan. The beautiful pink structure was once the summer residence of the Tiger of Mysore. Showing off the architecture of the era, the walls of the structure are engraved with elaborate paintings depicting the culture and art of the time. 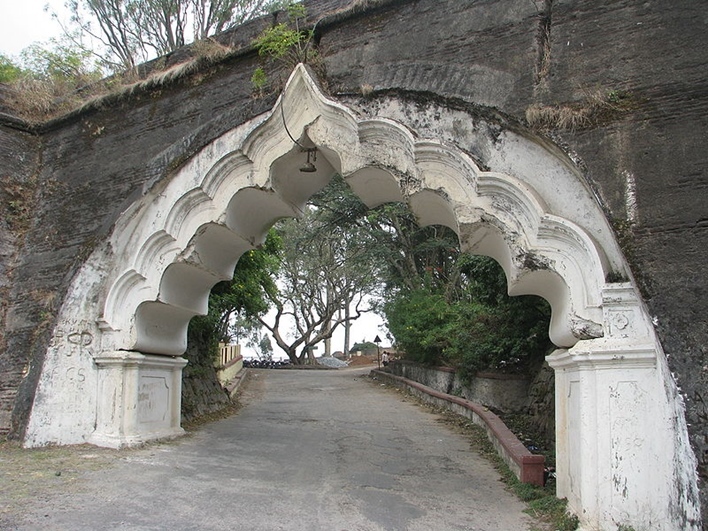 The original Chikkaballapur chieftains had built the fort, while Tipu Sultan strengthened it further. The major attraction, however, is not open to the public and can only be viewed from the outside. Barricaded for safety, this 600m drop has a spooky backstory. According to legend, this cliff face was the punishing point for prisoners. During Tipu Sultan’s reign prisoners that were sentenced to death were pushed off this cliff. Some even go as far as to say that, the leaves rustling in the wind are often the screams of these prisoners. Aside from its chilling history, this site offers a dazzling 360-degree view of the city. A definite selfie worthy spot! 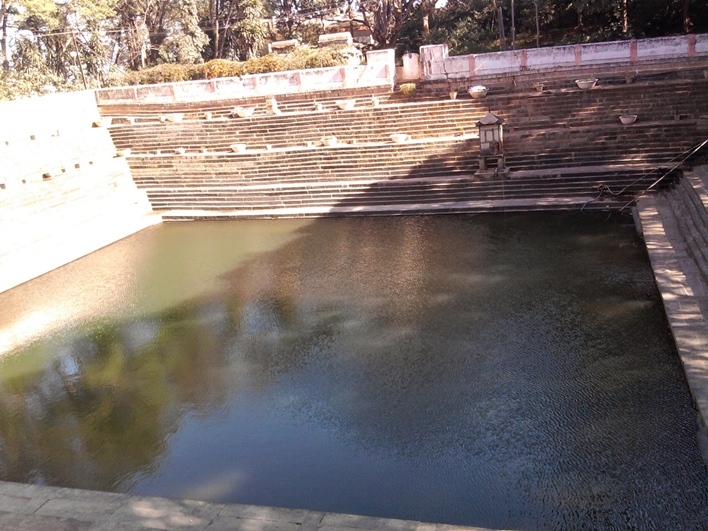 Amrita Sarovar or The Lake of Nectar is the quintessential water body one would associate with Hindu temples in India. The prime source of water in the area, the beautiful steps offer stunning means for photography. If that isn’t your cup of tea, this serene site could be the perfect place for some introspection. Another spot for the solitude seekers, Brahmashram is essentially a cave. The Sage Ramakrishna Paramahamsa used the cave as an ashram for his meditation. Owing to this, Brahmashram has become one of the more popular religious sites in the region. The natural structure and earthy feel make this a perfect spot for some worship and tranquility all balanced out. 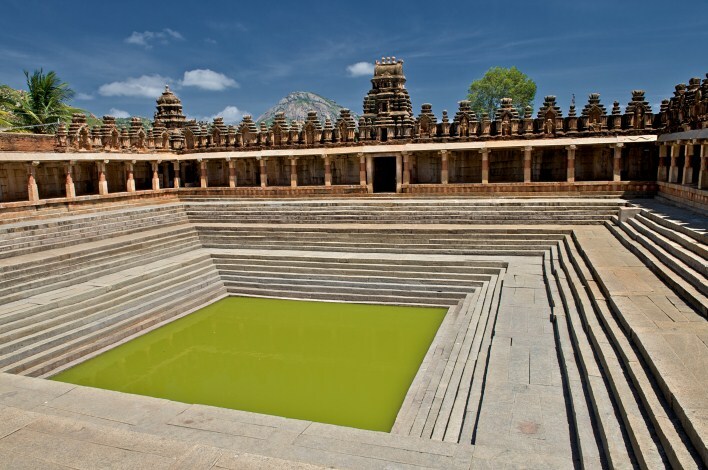 Built during the Chola period, this temple is home to the exquisite statue of Nandi. 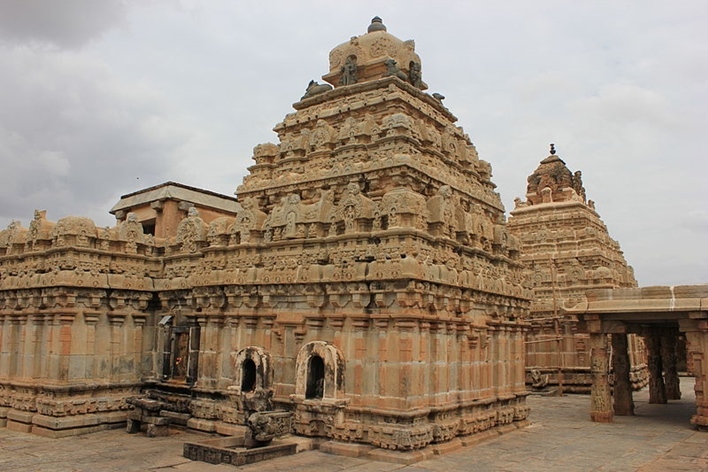 The intricate carvings and engravings depicting Lord Shiva and the Goddess Parvathi now also serve as study material for various architecture students. The impressive pillar structure is also famous for its Kalyana Mantapa that is a sight for sore eyes. 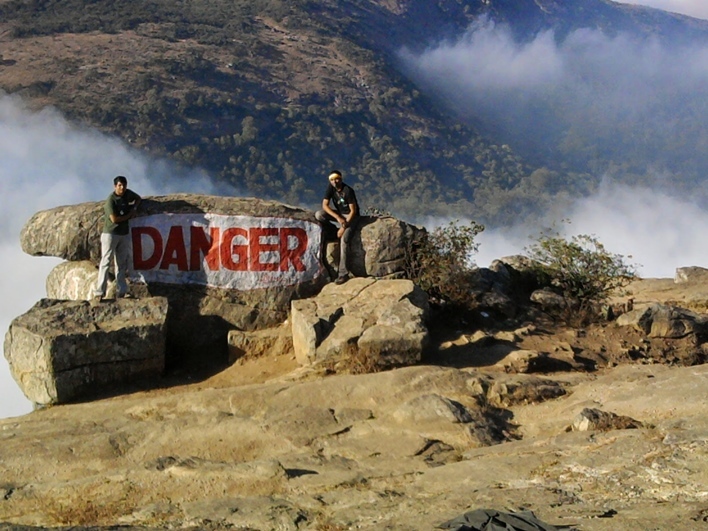 Nandi Hills is an adventure lover’s paradise. Activities that you can do at this spot vary from cycling to trekking. The hills offer a range of trek routes, all of the varying difficulty levels. Again what is highlighted is that this destination offers something for each individual. For the beginners, there is a simple yet pleasing path that leaves you just as satisfied that you burnt some calories, if not the required amount! Nandi Hills also offers routes for the over enthusiast as well as the medium level trekkers that require a steep and adrenaline filled trek. Access to Nandi Hills is not a problem as it is well routed through road or rail with not only Bangalore but other cities in and around the area! 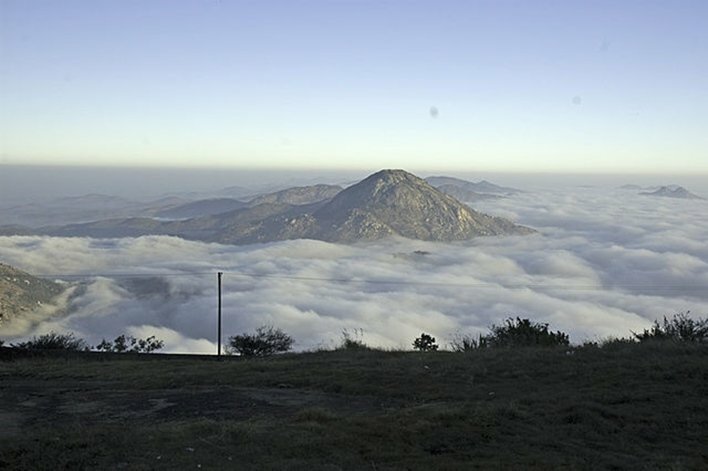 Nandi Hills is accessible by road from all the major surrounding cities, with smooth well-tarred roads. Bus services are available from Bangalore to Nandi Hills and cost about 200 INR per head. The other modes would either be a car, bike or cab for a duration of about 3 hours from Bangalore. The nearest airport is the Kempegowda International Airport, situated about 58 kilometers away from Nandi Hills. From the airport, one can either travel by road to Nandi, in about an hour’s duration. The nearest railway station is at the city of Chikkaballapur. This is about 9 kilometers away from the hills and can be accessed from there by road using autos, or cabs.